Here is the new Police force in Haiti building a reputation for violence and repression with new Brigade BOID. BOID Part of Police Repression against Party Members. 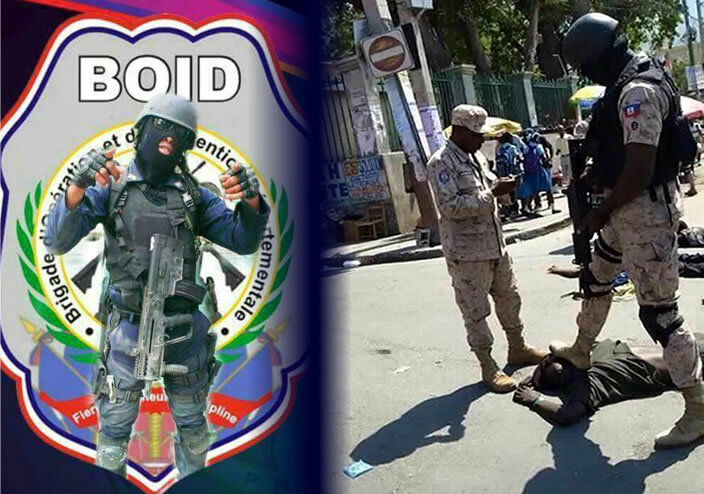 The National Police of Haiti has formed a new specialized unit, the Brigade of Operation and Departmental Intervention (BOID). Its first promotion graduated 254 policemen and -women. One of its mandates is to back up departmental units of the Haitian police. BOID has been deployed in not always ethical ways. At a political rally it was suspected BOID carried out the shooting of a senior official of Pitit Dessalines in a drive-by.